This collection of almost forty oral histories tells the stories of Italian families who emigrated to the slums of Clerkenwell, London, from the early 19th century onwards, in search of a better life than in the poverty-stricken rural hamlets of Northern, and later Southern Italy. It vividly describes their courage in the face of hardship, their childhood preoccupations and family loyalties, their teachers and mentors, the trades and careers in which they endeavoured to gain a livelihood, their marriages within and without the community and the Catholic faith, the devastating effects of two world wars on these families, their sicknesses, tragedies and triumphs. All illustrated by precious family photographs. 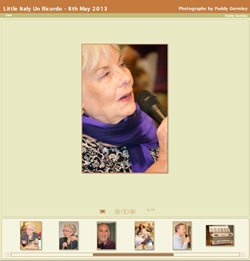 Olive Besagni is a long-time member of the Mazzini-Garibaldi Club. 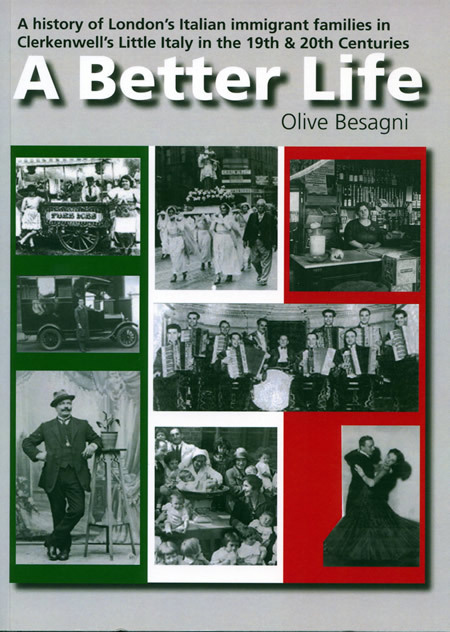 A Better Life is published by the Camden History Society, 2011. 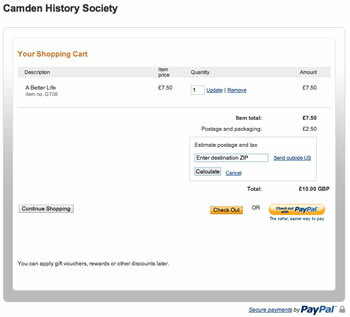 Click the image below to buy a copy via the Camden History Society's page on PayPal.